Browse the winners from 2017. This award recognizes Jim Stiven’s substantial contribution to the development, advancement, and practice of heritage conservation in BC through his lengthy career as a leader, expert, practitioner, advocate, and educator in the field of historic window conservation. 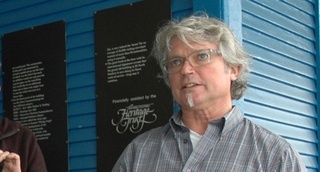 Through the establishment of Vintage Woodworks over 30 years ago, and fostering the company to become the most specialized, consistent and capable local firm for the restoration and/or production of traditional wood windows, Jim was able to broadcast and instill the notion that authentic windows are the “eyes” of heritage buildings and turn the importance of their conservation into one of the most vital trades in our local conservation economy. Jim’s expertise, persistence, and passion over his life and career have been influential in bringing on changes in both cultural approaches and policy that have encouraged and enabled the retention of heritage fabric on old buildings across this province. 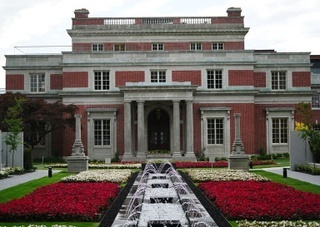 This award recognizes the fine grained and detailed conservation of the Shannon Mansion and its interiors, along with the Coach House, Gate House, Italian garden and the property’s perimeter wall at 7101-7201 Granville Street. This award recognizes the meticulous restoration and replication of the extraordinary exterior metal work including columns, rooftop parapets, cornices and other ornamentation, and the rehabilitated storefronts and facades on the prominently located Tamura House, 390 Powell Street, a significant cultural site in the original Japanese district. This award recognizes the high degree of retention and thoughtful restoration of the one-of-a-kind James Residence, 587 West King Edward, a beloved city landmark. This award recognizes the Vancouver Heritage Foundation’s Heritage Site Finder, an online, interactive map of the 2200 sites on the Vancouver Heritage Register making the information accessible and visually engaging. This award recognizes the restoration of the exterior of the Irving Hotel, 101 East Hastings Street, including the storefronts, cornices and pediments along with the replication of the Irving Hotel neon sign. This award recognizes the restoration of the brick work and terra cotta of the Molson’s Bank, 166 East Hastings Street, including the restoration of interior elements. This award recognizes the restoration of the exterior of the Cordova Residence, 54-56 East Cordova Street, including the fire escape and the partial interior restoration which included the hand-operated horse elevator. This award recognizes the precise rehabilitation of the Walter and Mary Chan House, 658 Keefer Street, a culturally significant site in the Strathcona neighbourhood. This award recognizes Nikkei Stories - Powell Street, a series of short videos of notable Japanese Canadians accessible online and on mobile devices through site specific QR codes, for making the history of the Nikkei accessible and engaging. This award recognizes the community led restoration and rehabilitation of the Jewish Cemetery at Mountain View Cemetery, 5455 Fraser Street, a significant cultural heritage resource in Vancouver. This award recognizes the careful and imperceptible seismic and structural upgrades in the restoration and conservation of the Jade Water Pavilion a significant component of the Dr. Sun Yat-Sen Classical Chinese Garden, 578 Carrall Street. 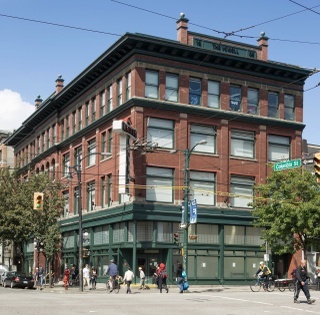 This award recognizes the exterior restoration and reinstatement of lost architectural detail, including the ground floor storefronts of the Hazelwood Hotel, 344 East Hastings Street. This award recognizes the retention and detailed restoration of the façade of the Quadra Club, 1021 West Hastings Street. This award recognizes the contribution to the community of the significant seismic upgrade and contemporary bell tower of Christ Church Cathedral, 690 Burrard Street. This award recognizes the careful restoration of the entrance to the Normal School, City Square, 501 West 12th Avenue, including the removal of unsympathetic repairs and providing a comprehensive seismic upgrade to this heritage school building. This award recognizes the restoration and rehabilitation of the Thomas & Jessie Crawford House, 826 East Georgia Street and its contribution to the ongoing community revitalization of the historic Strathcona neighbourhood. This award recognizes the restoration and rehabilitation of two heritage houses made possible by the inclusion of modern infill at 729-733-739 Campbell Ave, further contributing to the ongoing community revitalization of the historic Strathcona neighbourhood. This award recognizes the painstaking restoration efforts in the reinstatement of the front porch of 1938 Ferndale Street, a project which has made a positive contribution to the immediate community. This award recognizes the restoration and rehabilitation of a BC Mills Prefab house at 1860 Grant Street and its contribution to the ongoing community revitalization of the historic Grandview neighbourhood. This award recognizes the restoration efforts in the reinstatement of the front porch of 3500 Willow Street and the measures to improve the energy efficiency while respecting the fabric of the heritage house. Fully restored and revitalized, the thinnest building in the world, and a Chinatown landmark and architectural marvel, its rehabilitation was part of the celebration of its centennial. This included its distinctive gold embellished columns, the prominent "1913" on its parapet, its continuous bay-windows, its block-long illuminated glass sidewalk, and iconic twinkling neon sign for the public to enjoy. During this past year, this hybrid Chinese-Western styled building underwent exterior and structural repairs and vital system upgrades. The Mah Society is one of the Chinese Societies which have offered social programs for over a century, critical to the cultural legacy of Chinatown, while providing affordable housing for low-income residents. Its retention is important for the neighbourhood’s urban fabric, displaying community leadership in the ongoing revitalization of Chinatown.